New in 2015 – Admission is $3 Adults, $2 Seniors & Youth, or $5 Family. Donations gladly accepted. 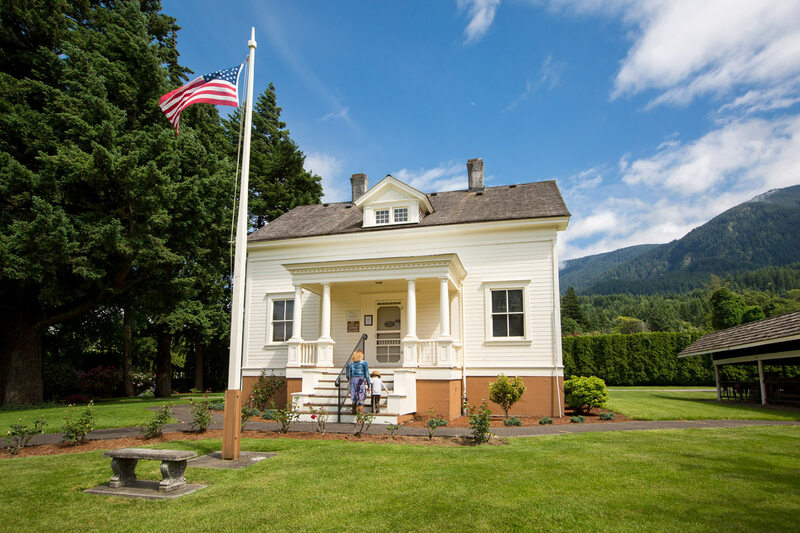 The Cascade Locks Historical Museum is located in one of the three historic locks tender’s houses, built in 1905, in the Cascade Locks Marine Park. Appointments for school class tours and other group arrangements are available. The Historical Museum was founded in 1969 and is managed by a member volunteer commission. 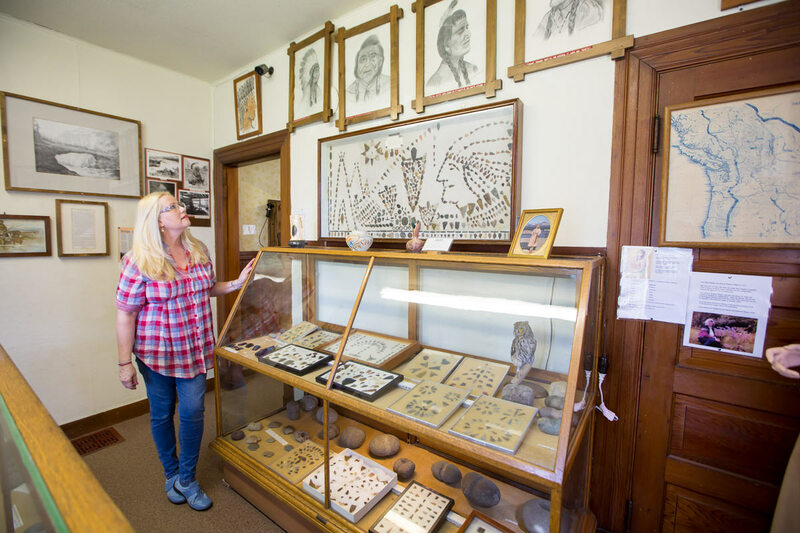 Cascade Locks takes pride in the presentation of our history, preserved for your enjoyment and that of future generations. 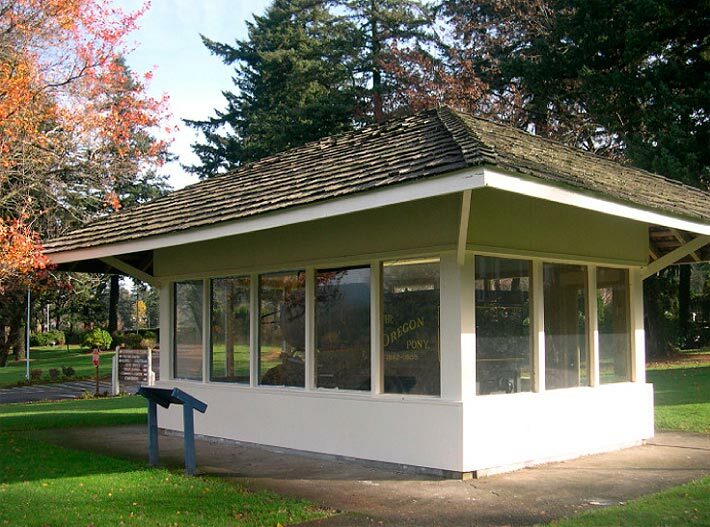 Museum Highlights: River locks, Oregon Pony locomotive, Columbia Gorge Native American History, and regional history. The Historical Museum also features information, photographs, and artifacts on the history of the Columbia River Gorge, topics including: Historic Waterways and Locks, Native American history in the Gorge, the Cascade Rapids, Railroads, Fishwheels, Sternwheelers and Steamboats on the Columbia River, Cascade Lock’s School history and Much More! The Oregon Pony steam locomotive was the first of its kind to be built on the Pacific Coast and the first to be used in the Oregon Territory. Until the Oregon Pony went to work in 1862, the conveyances were flat cars running on rails, equipped with benches for passengers and pulled by mules. Shortly after the Pony was put into service, canopies were added to protect the passengers and their goods from the hot, sooty water that rained down on everything as the little locomotive steamed along. The little Oregon Pony engine moved nearly 200 tons a day between the Cascades and Bonneville, until it was transferred to the The Dalles , where it was put to work on the portage around Celilo Falls . The Oregon Pony is now owned by the State of Oregon and is kept in a climate controlled exhibition chamber next to the Cascade Locks Historical Museum.